The Japanese love their children. Even in packed urban areas such as Tokyo, playgrounds and parks can be found everywhere. 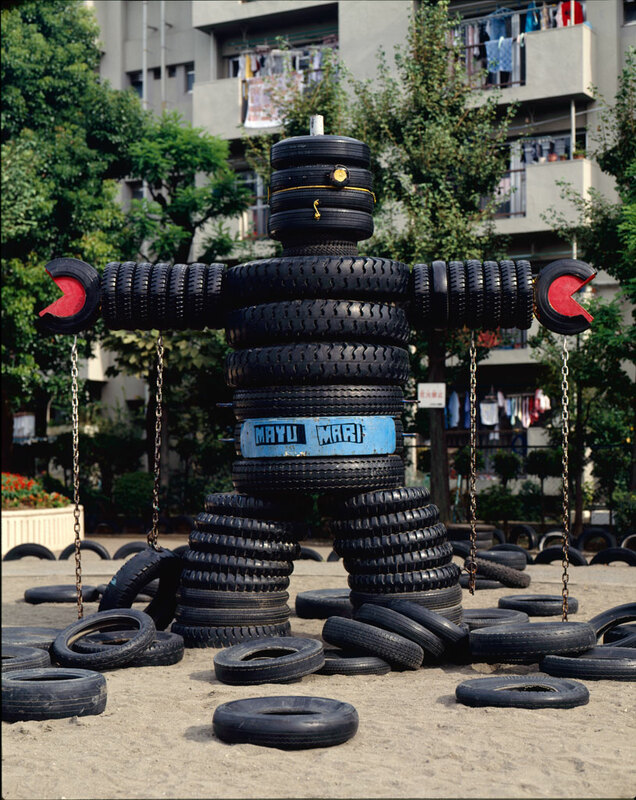 Tire Park, or Tire Koen, is one of the magical places the Japanese have built for their kids. As the name suggests, the park is created from recycled tires.